Looking for some land with your home? Well look no more! This one story, ranch style home, sits on 5.58 acres of fenced land and is just waiting for the right buyer. 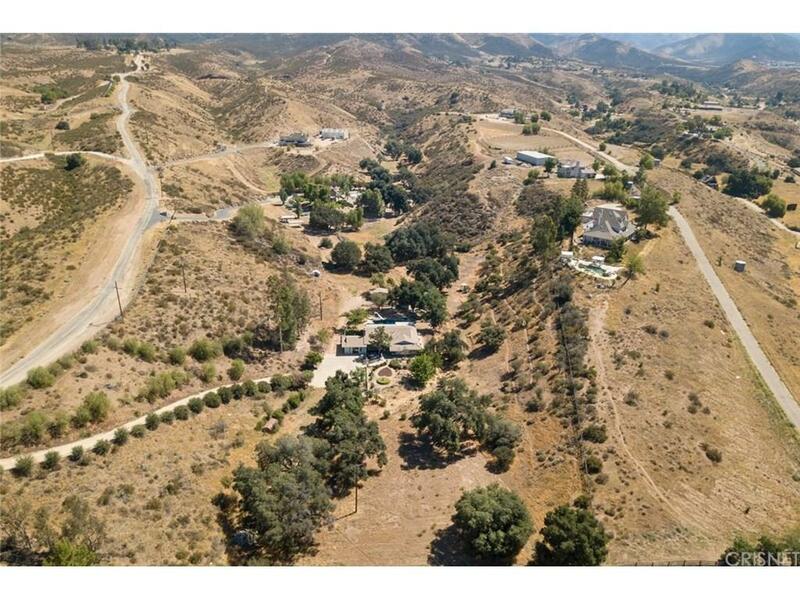 The property is off of a private paved road, has it's own private gated driveway and is zoned for horses. The home features 4 bedrooms, 2.5 baths, a living room with rock faced fireplace, dining room with built-in china cabinet, a kitchen that features granite counters, a 6 burner stove, double ovens, a built-in refrigerator, a breakfast bar and a garden window. Adjacent to the kitchen is a nice size eating area with tile flooring and a french door leading out to the back patio with views of the pool. The garage has been converted into a large bonus room with built-in cabinetry giving you lots more living space. The property has several highlights including a koi pond with waterfall, pool with slide & diving board, spa, covered patio with built-in BBQ, refrigerator, rock fire-pit, botanical & cactus gardens and two additional structures one a work room and the other a covered shed for storage. The cement driveway has lots and lots of room to park several cars, store your toys and your motor home, or play a game of basketball. Come take a look and vision the possibilities!